Speaking to Soccer AM's Tubes, Chris Smalling gave a fascinating insight into the before and after of Man Utd's heroic comeback in Paris. 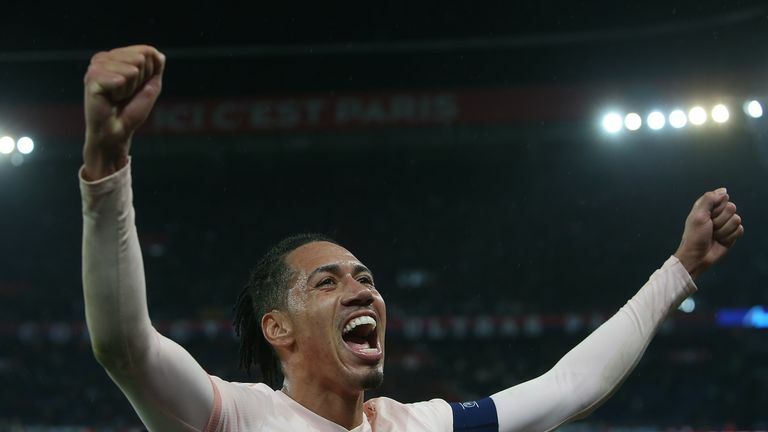 Chris Smalling gave a fascinating insight into the before and after of Manchester United's heroic comeback in Paris on Wednesday night. Manchester United did what no team has ever done in the European Cup, fighting back from a two-goal deficit from a home first leg to beat PSG 3-1 in the last 16, going through on away goals following a 3-3 draw. 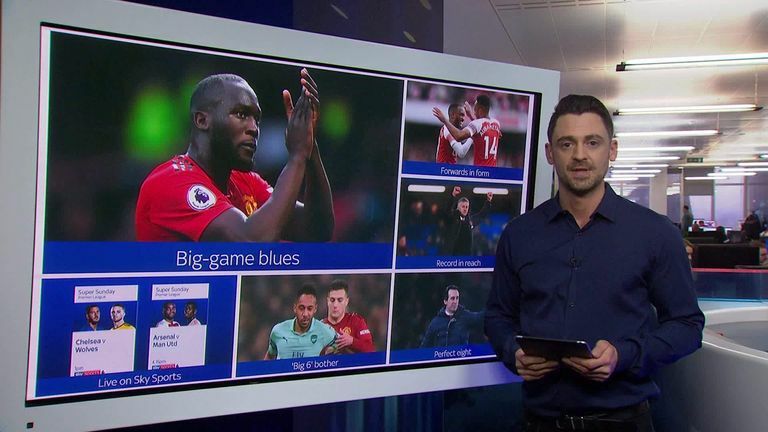 Speaking with Soccer AM's Tubes, Smalling reveals how watching Ajax's win over Real Madrid the night before helped give United the belief they could progress, and how Sir Alex Ferguson and Eric Cantona's visit to the changing rooms after the win created a feeling of togetherness. "It was [lively in the changing room] - moments like that you've got to savour and take in. Obviously seeing Eric [Cantona] in the changing room and Sir Alex, you could tell everyone was together. Who makes combined Arsenal-Man Utd XI? "Sir Alex came around and shook everyone's hand, saying congratulations, Eric said a little bit, that he was proud to watch the team play and win like that. Generally happy vibes. "[It was] unbelievable. Going there you've got dreams and hopes of turning it around, but to do it in the way we did in the last minute. There's no better way to go through." Asked if the players were allowed a few drinks on the flight home, Smalling revealed that even though no rules were put in place by Ole Gunnar Solskjaer, some of the players were too busy playing games. "No! To be honest we weren't [drinking]. [Solskjaer] didn't say either way, but I think a few of us were just too busy playing Uno to be honest! Andy [Andreas Pereira] and Fred were in the corner playing their music. It was just nice and chilled." Ajax produced a similarly heroic comeback on the Tuesday night, beating Real Madrid 4-1 at the Bernabeu and 5-3 on aggregate to reach the last eight, and Smalling said watching that with team-mates contributed to their belief that a comeback was possible. "We all watched Ajax the night before, and I think [Solskjaer] used part of that as well, seeing what's capable and bringing back memories of other big United comebacks. "The fact that we had nothing to lose; obviously no other team has done this before, from two goals down. We went there with no fear." Smalling is one of a number of United players who have enjoyed an improvement in form since Solskjaer arrived in December. The defender has not played for England for two years, and though he reveals he has had no contact with manager Gareth Southgate, he is hopeful of returning to his plans. "I hope so. I think it's just about playing and performing. Luckily I'm at one of the best clubs so hopefully I can show that on a week-by-week basis. But there's only one man to decide that. "I haven't [heard from Southgate]. We've not spoken at all. I'll just have to try and keep playing, and see what happens, but I'll always believe."